UPDATE: New date has been picked!! 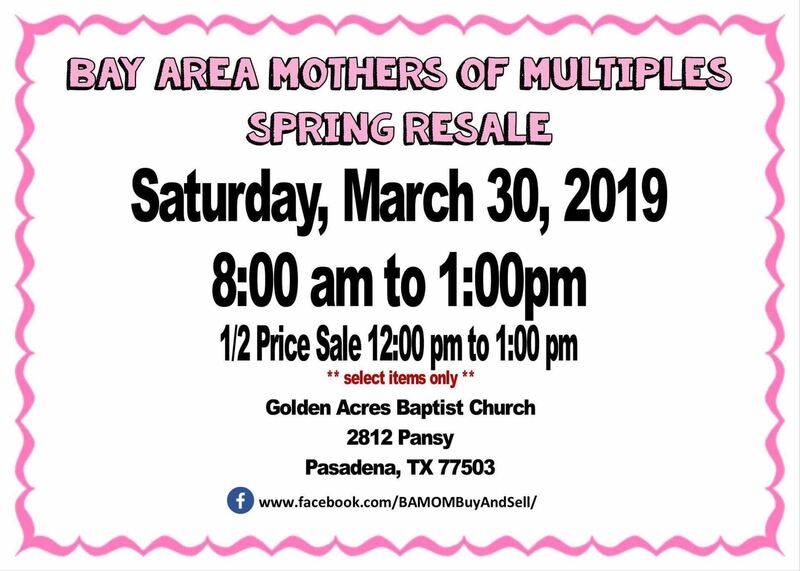 Join us this weekend for our BAMOM Spring Resale. Please spread the word and we hope to see you there! BAMOM and other members of Moms of Multiples clubs (bring newsletter or membership proof if in another club) come and shop Friday night to get the matching outfits, car seats, double strollers, etc. If you are a Mom of Multiples and want to shop early then now is the time to join BAMOM. This event is one of the many perks of being a BAMOM since our twice a year resale event where you can sell your own items and buy items that are in duplicate at a great price! Below is the time your friends and family can come shop!